The lunar disc on 11 Sept 2013. Grey region corresponds to night side. 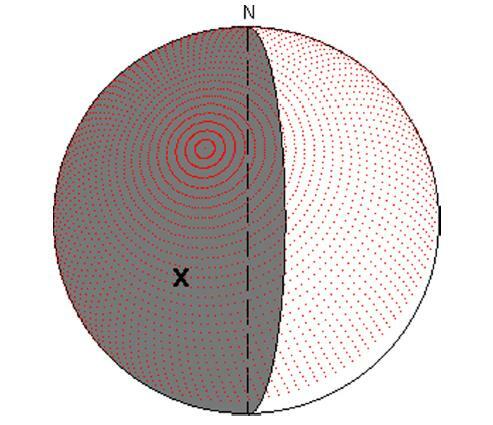 Position of the impact is marked with an X. ε-Perseids potential impact area marked with red dots. Source: Jose M. Madiedo et.al MNRAS.